This is the fourth in a series of books that explore occupations in ancient times. 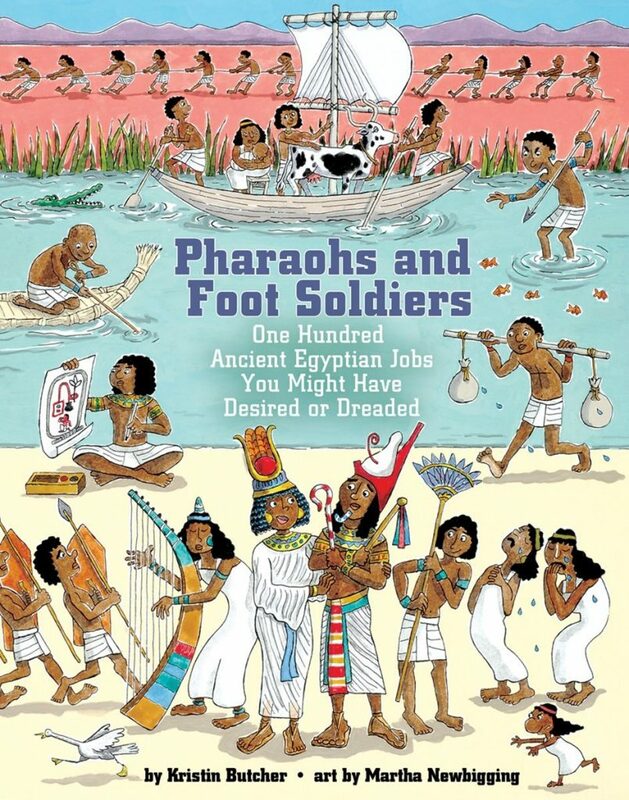 This volume focuses on Egypt 5000 years ago, describing 100 jobs that would have been common in the days of pharaohs and pyramids. The book begins with a short introductory section which provides information about this period in history; the remaining pages are devoted to half- or one-page discussions about particular jobs, grouped into fifteen chapters with titles such as Army Jobs, Government Jobs, Artisan Jobs, etc. The text speaks directly to the reader, as if describing his/her own occupation, in a light-hearted style that helps to bring the historical information to life. The cartoon-like illustrations contribute to the enjoyment of reading the text, often adding a touch of humour. Sidebars provide additional, supporting information on many pages. The simple page lay-up and short job profiles make this book easily accessible as a source of information for Social Studies projects or simply browsing out of interest.